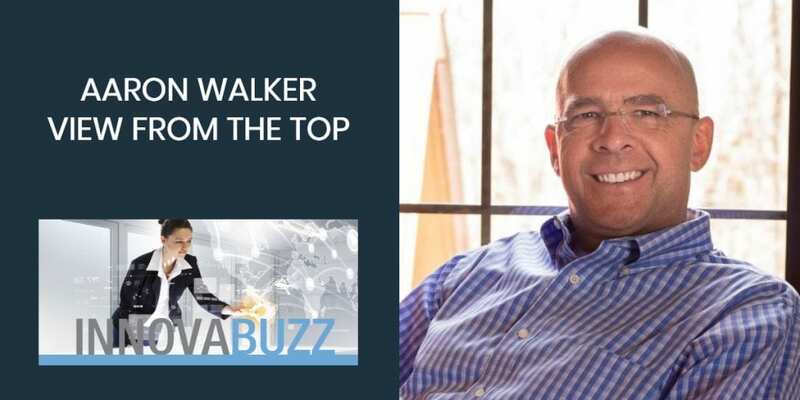 In this episode, it’s a privilege to welcome to the InnovaBuzz podcast, Aaron Walker, a businessman and life coach who has inspired many through his leadership, mentorship, and consistent pursuit of excellence. Aaron is the author of the book View from the Top, a personal account of his years of experience and advice for others on how to live a life of success and significance. the mindset of an entrepreneur. Dave Sanderson on episode 134 introduced us to Aaron. NO is just today’s answer. Just because you got turned down once doesn’t mean that you can’t ask again. A hundred percent of the time when you don’t ask, the answer is NO, but when you do ask, at least you have an opportunity. Asking even if you get a NO, gets you closer to a YES. “Can’t couldn’t do it and could did it all”. You have to believe you could do it first yourself. Live like no one today so later you can live like no one else. Customer service without a question is the key ingredient to business success. People remember how you treat them. They don’t remember what you have because they don’t care. They don’t remember the things you do because that is a benefit to you. What they remember is how you make them feel. Don’t ever forget they are important because without them you are nobody. You have to keep your vision at the forefront of your mind at all times. You’ve got to have a mission, vision and values. People have to understand exactly what they are accomplishing and why they are accomplishing it. Bad companies come from bad leadership. Go out and spend time with the people that are doing the work, and understand what their needs and desires are because that is where you learn best. Surround yourself with people who are headed in the direction that you want to go. If you want to go places, you have to get around people who have been there or are going there. Pick your friends and the people you spend the most time with wisely. When you get around trusted advisers, people that don’t have anything to gain or lose as a result of what they tell you, then they are going to tell you the truth. If you don’t have a mission, vision and values, you can’t scale anything. The first thing we all have to do is to establish who we are, what we are doing and establish these core values. 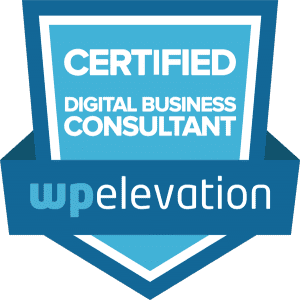 Once you do that, it is much easier to grow your business. Here are Aaron’s answers to the questions of our Innovation round. Listen to the interview to get the full scoop. #1 thing to be more innovative – Have a clear conscience. Get things out of your life and forgive yourself. Bitterness is its own prison. Do a personal assessment of yourself. Really look deep inside you and let go of the things that you cannot change. One of those things is bitterness. When you do that, you will be a lot more innovative. Best thing for new ideas – Being in mastermind groups. You only have one filter. You only have one life. You can only see things from one perspective no matter how hard you try. When you get around trusted advisers, you have the counsel of the multitudes to depend on. They are going to give you great ideas and will help you expound the way you view things. Favourite tool for innovation – Scrivener (for writers) and Trello. Keep project / client on track – Trello and regularly scheduled meetings without fail. Differentiate – Give more than the customer is requiring. Differentiate yourself in regards to customer service and it will pay great dividends. Have a growth mindset, not a fixed mindset. Believe you can do it. If you tell yourself you can’t, you won’t. But if you tell yourself you can, you probably will. Fear missing an opportunity more than you fear failure. If you develop a “can do” attitude and not be afraid to fail, success is on the horizon. You can reach out and thank Aaron through his website and on Twitter. Excel in your business, personal and spiritual life! Join the Iron Sharpens Iron Mastermind and experience things that are far above greater than any expectations you’ve ever had. Aaron suggested I interview Seth Buechley, author of the book “Ambition: Leading with Gratitude” and CEO of Cathedral Consulting LLC. So Seth, keep an eye on your inbox, for an invitation from us to the InnovaBuzz podcast, courtesy of Aaron Walker. He started his first business at the age of 18 and sold it to a Fortune 500 nine years later. He’s been in a mastermind group for over 20 years and never missed a single meeting. He enjoys hunting, fishing, golf and is an avid reader.